Being able to be out and about during week days for a lunch break or a walk in the park makes a huge difference in my life style. As temperatures rise, I tend to keep a more relaxed routine so I get to spend more time outdoors. A crisp white shirt is a best friend for its class and versatility and why not pair it with another classic, the jeans. 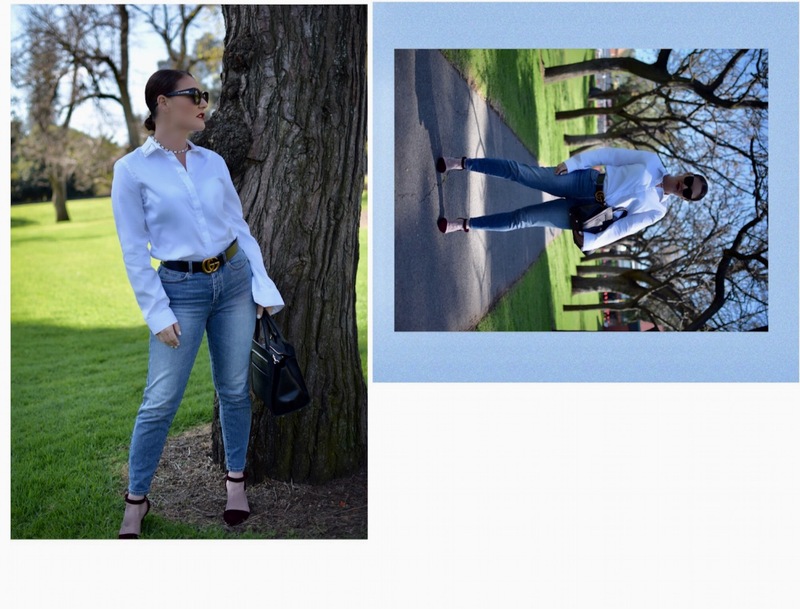 Sleek hair gives the look a so polished dimension as well as the refined accessories: a structured bag, nice sling back pumps is all you need to take the white shirt + jeans combo to another level.